I’m always on the lookout to discover the next best raw bite at a sushi bar. The textures and flavour of a beautiful slice of raw fish is like no other. 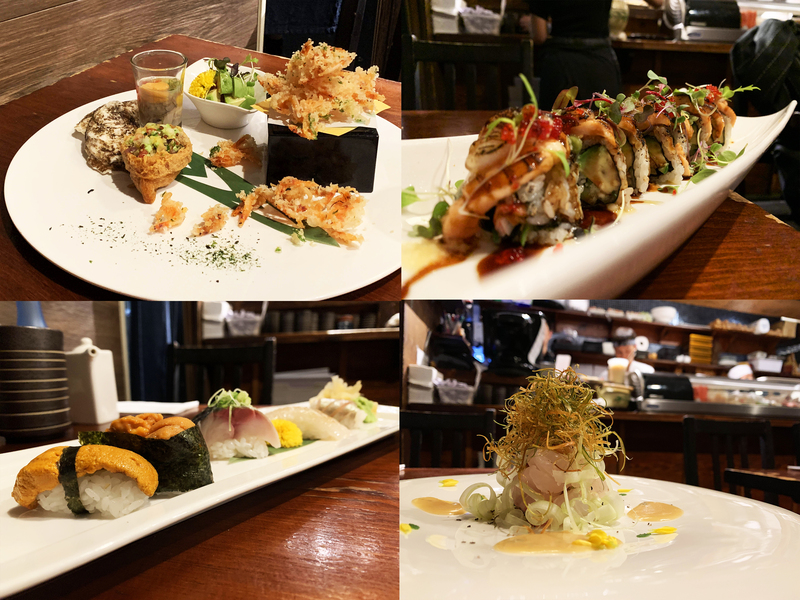 During my recent trip to the RC Show 19, I wanted to try a new Japanese restaurant and one that kept popping-up was Japango. 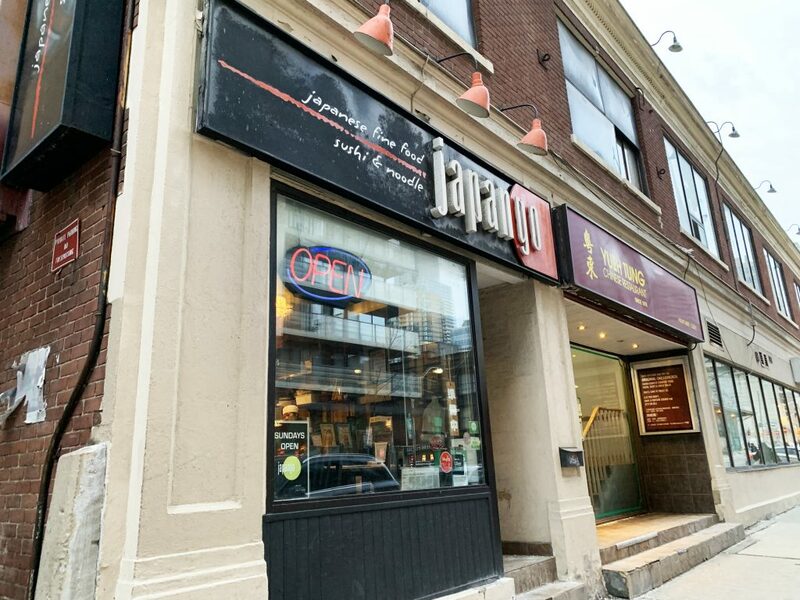 Japango has been a staple in Toronto’s downtown core for over 20 years, nestled neatly behind City Hall. 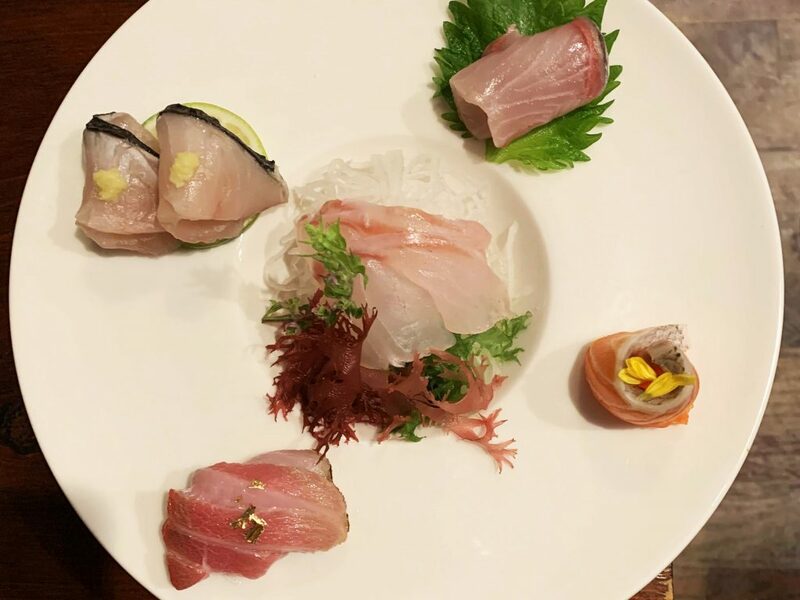 Some quick research will tell you that foodies in Toronto and abroad know this place for its great selection of raw fish that is flown in from Japan. 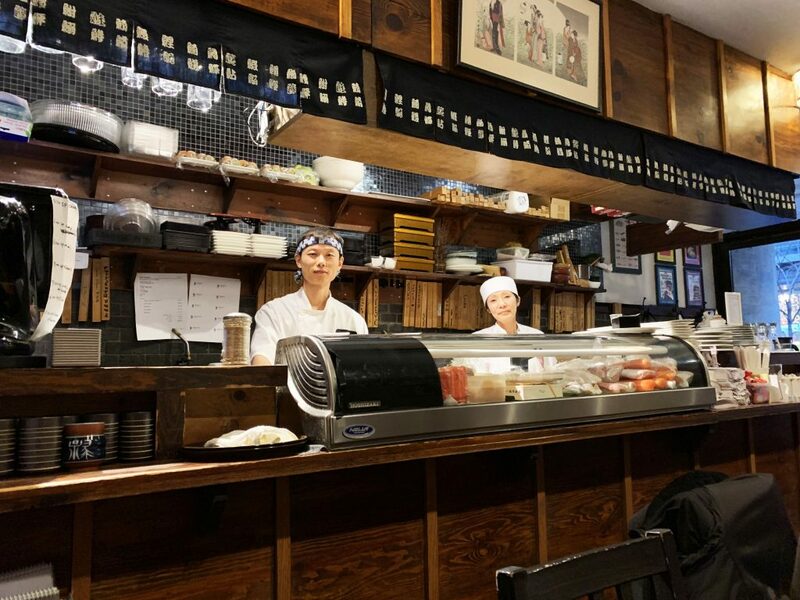 The restaurant is quaint with only 20 seats and the sushi bar front-and-centre. Just like a restaurant you could picture in Tokyo. Behind the bar you will also find special sets of chopsticks with diners’ names on them. There are many loyal customers and VIPs that over the years have earned their sticks and are now members of the elite “Chopstick Club”. A cool concept to reward loyal customers. 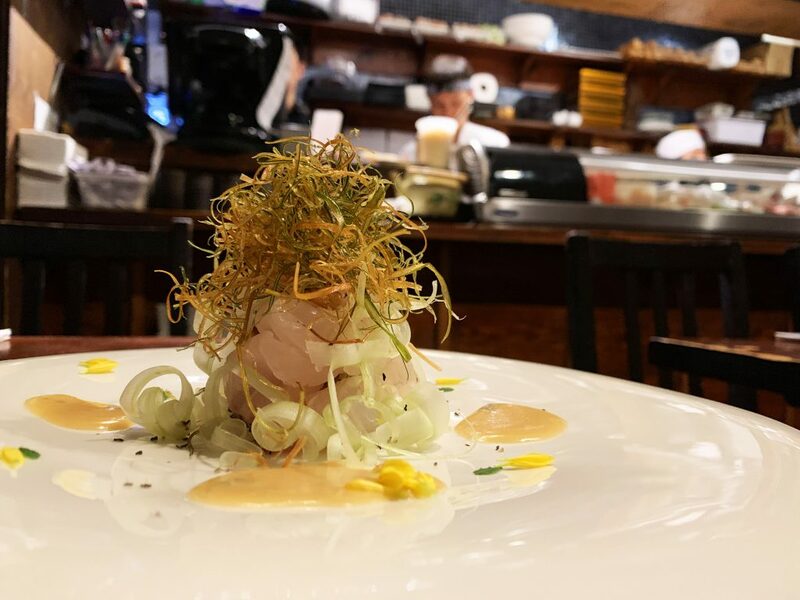 I opted to experience the Omakase dinner, a Chefs choice combination of Japanese food items. This is the ultimate way to discover what the restaurant is capable of. A great way to start the meal and the shooter was epic. It was also my first time eating Sakura Ebi which was delicious, sweet and definitely something special. The selection was on point! So fresh and delicious. It was my first time trying mackerel that wasn’t pickled – it was great. 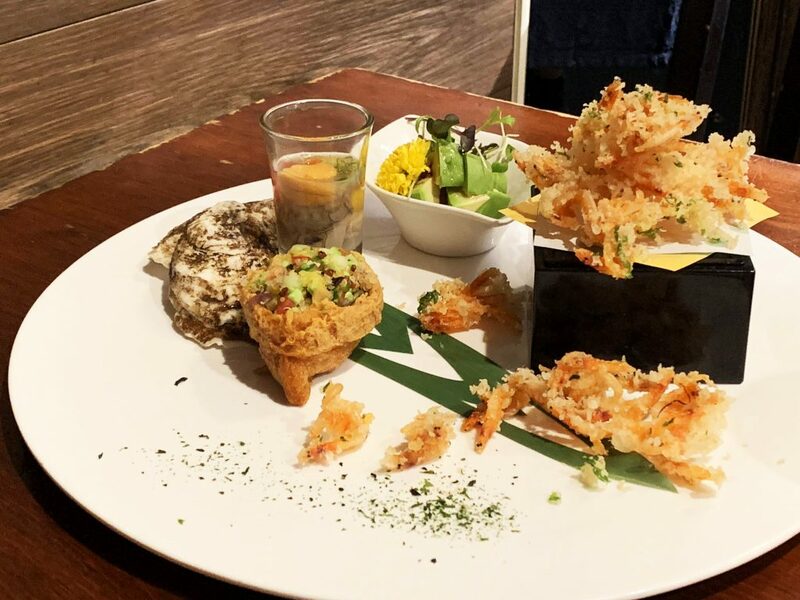 This dish showed amazing skill, technique and restraint. The miso and blue cheese sauce was an absolute powerhouse – I’ve never tasted that combination before but it was perfect. I love Uni! 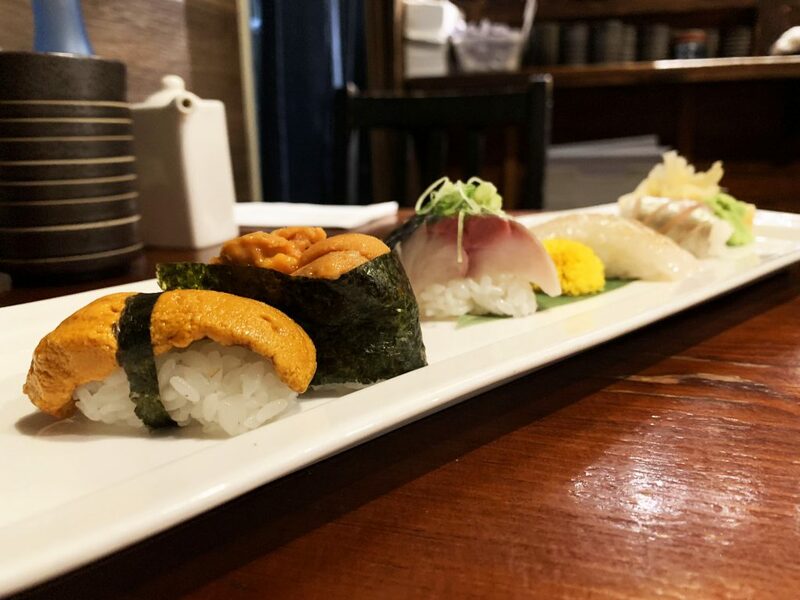 Although every sea urchin is slightly different, both Vancouver and Boston varieties are usually mild in flavour and creamy, whereas Hokkaido Uni is often stronger in flavour. They are both delicious and unique. 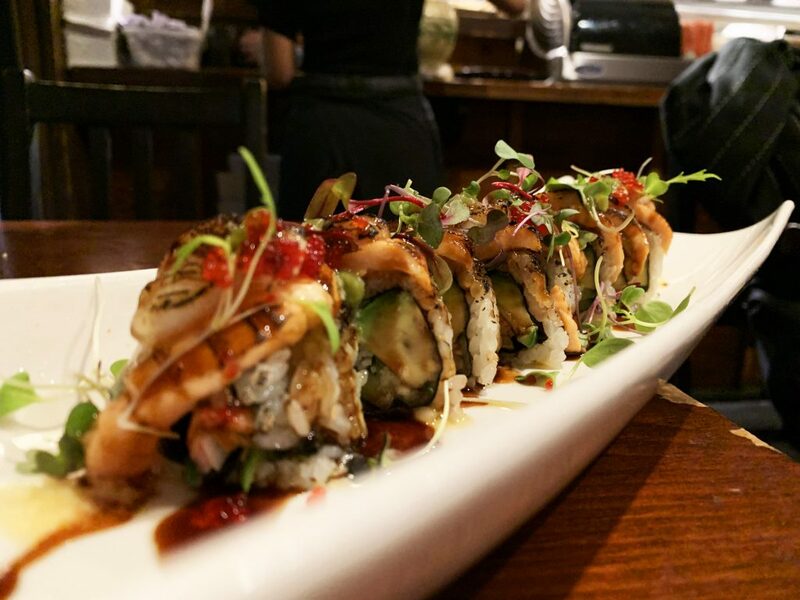 California Roll topped with Seared Salmon and Hokkaido Scallop with Unagi Sauce and Spicy Mayo. This is what every California Roll should aim to be! This roll is simply the most delicious maki I have ever eaten. The addition of the Seared Hokkaido Scallop made it a home-run for me! I also got to enjoy a couple different Sake’s which included Hakutsuru Junmai Ginjo and Okunomatsu Kinmon and some plum wine for good measure. 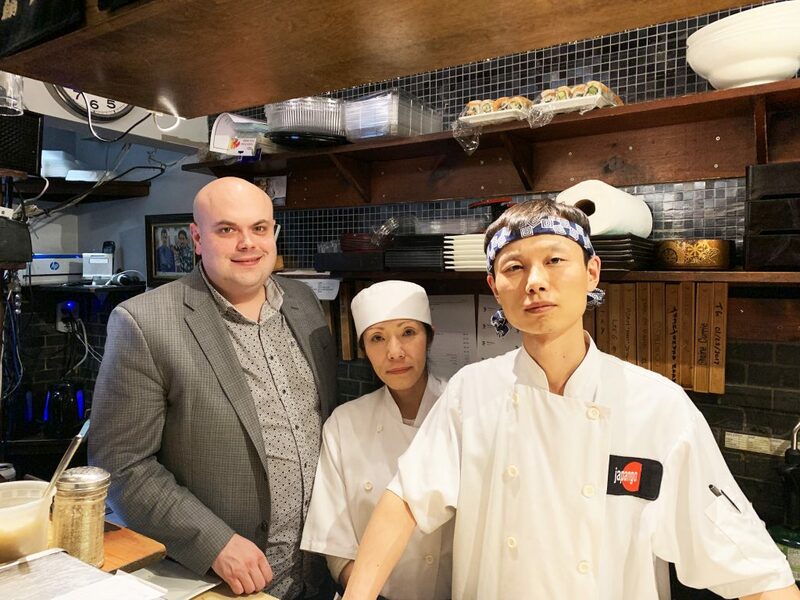 It was an absolute pleasure to dine at the hands of Chef Shoko, a female sushi Chef from Japan with over 15 years of experience and Chef Aaron, who has been with Japango for over 5 years and a new star in the sushi industry. I look forward to my next meal at Japango!